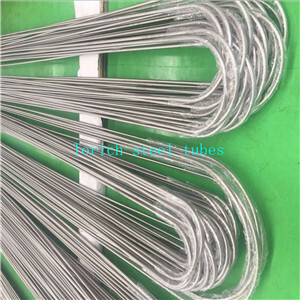 China leading manufacturers and suppliers of U Bend Tube and we are specialize in Steel U Tube,U Bend Pipe,Heat Exchanger U Tube, U Bend Steel Tube etc. 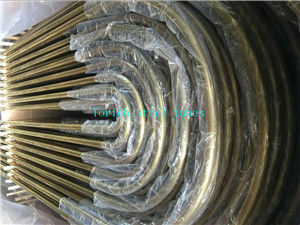 Copper and Copper-Alloy Seamless Condensers tubes and Ferrule Stock is used in surface condensers, evaporators, and heater exchangers, and made according to the standard of ASTM B 111/B 111M-08. 1. Materials: The material shall be of such quality and purity that the finished product shall have the properties and characteristics prescribed in this specification. 2. Manufacture: The product shall be produced by processes such as casting, extrusion, drawing, annealing, straightening, trimming, and other processes which may produce a seamless tube in the specified condition. Looking for ideal Copper U Tubes Manufacturer & supplier ? We have a wide selection at great prices to help you get creative. 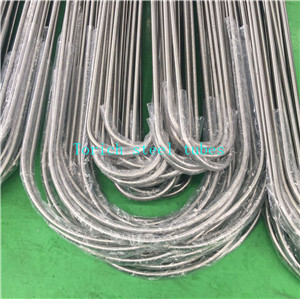 All the U Bending Tube for Condenser are quality guaranteed. 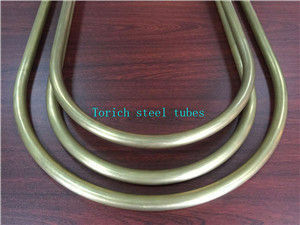 We are China Origin Factory of Brass Tube for Heat Exchanger. If you have any question, please feel free to contact us.